The Miami Hurricanes are on a roll this season winning all seven of their games this season but there’s a catch. While Canes fans are the more excited about this team and the turn around seen in both the recruiting and the way the team plays since new head coach Mark Richt took over the squad two seasons ago their last four games have been won by a combined 18 points. Last weeks game was unimpressive, to say the least, and they two squeakers to Florida State and Georgia Tech at the beginning of that four-game stretch. 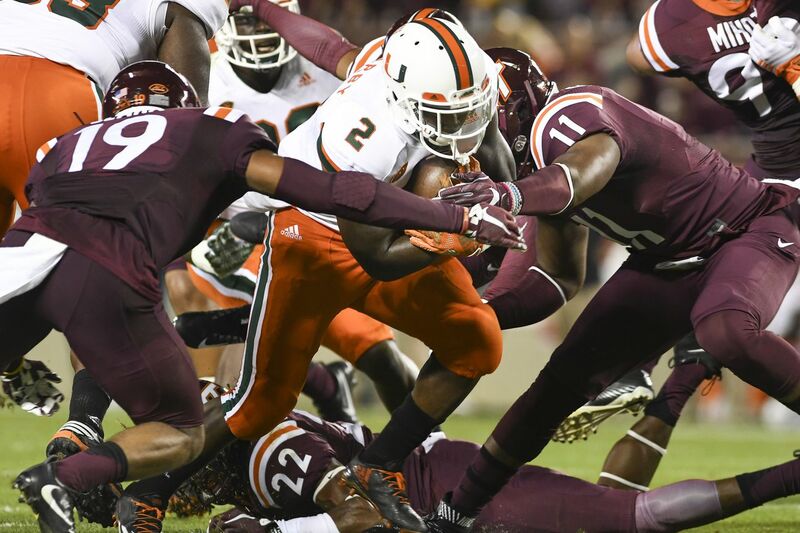 The Canes need to pull out a win over a solid Virginia Tech team this evening if they wish to impress the voters and wish to continue to move up in the rankings. Miami, like every other big-time college program in the nation, has the ultimate goal of being one of the “final four”. The final four of course meaning that they have a chance to compete in what serves as major college footballs mini-playoff system. A win over the Hokies almost assures a shot at the ACC title game for the Canes but their biggest matchup of the season will come next week against a very strong and number three ranked Notre Dame. Please use this post to discuss this evenings game or as always your Miami Dolphins. Please keep in mind that there is never any sharing, requesting or discussion of illegal game streams allowed on any SBNation site...as in don’t even think about it...please!